What are some options for male baldness? Androgenetic alopecia is the medical term for pattern baldness. It accounts for more than 95 percent of all hair loss in men. Two out of three men experience some degree of hair loss by the time they reach 35 years of age. By age 50, nearly 85 percent of men have thinning hair. Many men start losing their hair before they are 21. Contrary to common belief, most men with pattern baldness are not happy about their situation. In fact, they would do almost anything to change it. Hair loss affects all aspects of life, from their relationships to their careers. Fortunately, there are many treatment options. Medicine has made great strides in hair loss treatment. From hair growth medications to hair restoration surgeries, science can now stop or slow the progression of baldness. For the first time in history, hair loss is no longer inevitable for men. Finasteride and minoxodil are the generic names for two drugs used for hair loss. Both were approved by the United States Food and Drug Administration (FDA) for the treatment of male pattern baldness. Most medical treatments for hair loss start with one of these drugs. Surgical hair restoration has benefits and pitfalls. Organizations like the American Hair Loss Association (AHLA) endorse surgical procedures for men who can benefit from them. However, only a few qualified surgeons perform surgical hair restoration in the United States and around the world. 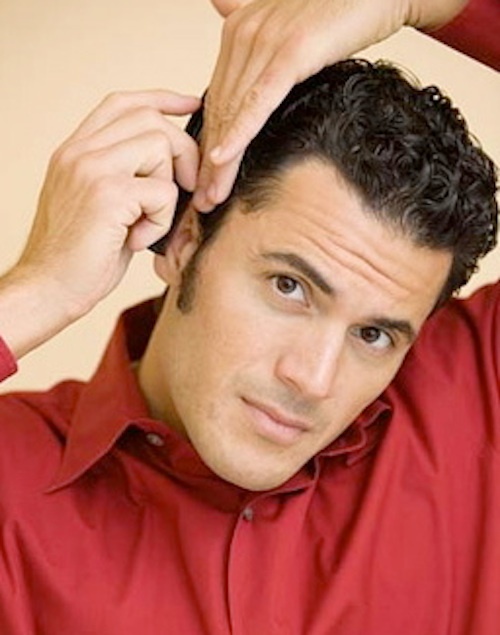 Non-surgical hair replacement is a good alternative for men with significant hair loss. Many companies today create natural-looking hairpieces that give men the appearance of thick, full hair without surgery. Hair systems like the hairpieces for men at AdventHair.com are tailored to customer specifications. Whether men want a small toupee or a full, natural wig, these companies can provide just what men are looking for. Some men start growing hair without any treatment. Others continue to lose hair until they are completely bald. For those who want to treat their baldness instead of letting it run its course, there are many good options. From medications to surgery to hairpieces, there is truly something for everyone. 12 Responses to What are some options for male baldness? Male baldness is horrible. Thanks for the info. Wow, I had no idea 2/3 of men started losing some hair by 35! I’ll have to keep these options in mind for my husband in case he’s one of them! For now, hubby has really thick hair, but his bio dad has pattern baldness. Had no idea that it starts as early as 35! I had no idea so many men lost their hair. Thanks for the info, I’ll have to pass it along to hubby. I’m so thankful that my husband’s hair is thick, but my SIL’s hair is really thin. I’ll share this info with her. I am going to keep this filed away. I noticed Matt’s hair is thinning on the top today, but I don’t think he wants to hear it. Eh, I don’t think male baldness is that bad. Now when it comes to women with thinning hair, I think that’s worse! My poor hubby is dealing with this. Great article, very informative. i like it. This is very informative. My poor hubs is follically challenged and would be glad to read this. Thanks!